Are you nervous and anxious about giving a speech at your daughter’s wedding? Enthrall the audience with your wedding speech even if you have never written a speech or have never spoken in public all your life. 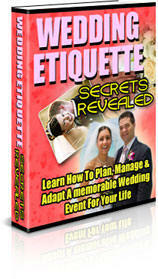 25 Time-tested, Proven, Outstanding Father of the Bride Speeches, a Step by Step Guide to help you write your own Father of the Bride Speech, Lots of Inspiring Wedding Toasts, Hilarious Quotations, Witty One-liners, Tips on Overcoming Public-speaking Fears, and lots more, can be on your computer screen within minutes! Can you really afford to settle for less than this at your daughter’s wedding? Do you really want to create wonders at your daughter’s wedding with your speech? Do you want to tell her just how much she means to you? Do you want to create beautiful memories that will last with you and your daughter forever? Do you want to come up with a brilliant speech without putting too much time into it? Do you want to eliminate all awkwardness and come across as confident and experienced public speaker? 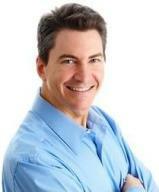 Do you want your audience to be completely enthralled by what you are saying? What if I tell you with a few quick clicks you can come up with Amazing Father of the Bride Speech far beyond your expectations? Your darling daughter is a big girl now! It’s her wedding day! Where did all these years fly by? Feels unreal right? Your little angel, someone you loved so unconditionally and made sacrifices for is all set to start her own life, her own family now. Feeling emotional and excited? Feeling sad and happy at the same time? Your daughter surely deserves an impressive speech from you on this once in a lifetime occasion. But every time you think about your speech you are at a complete loss as to what should be included and what should be left out. You have so much to share. Her childhood memories, your special bond with her, how proud you are of her achievements and how happy you are to know she has found her soul-mate. It is difficult to put so many different emotions into the most appropriate words. Thus making the job of writing your Father of the Bride Speech even more difficult!!! Yet you just cannot afford to let your daughter down on her wedding day. You owe it to her to come up with a speech which will be remembered forever. How should I start off my speech and how exactly can I add a punch to it? How long should my speech be? Who are the people I need to thank and welcome? What if I forget what I have prepared? What if my mind goes blank seeing a room full of people staring at me? What if I do not live up to the expectation of my beautiful daughter? What if I fail to make an impression? Or worse still, what if I end up embarrassing myself? Let me be frank with you. Even though writing an exceptional Father of the Bride speech isn’t anywhere as complicated as, say, organizing a space walk, it is nevertheless not a cakewalk either. It does require a considerable amount of attention and knowledge. If you face the audience with limited knowledge on what a Father of the Bride is supposed to say…chances are you will mess it up. Allow yourself to imagine that you CAN put all your attention on getting things organized for your BIG DAY without worrying one bit about your speech. All this is certainly not a dream. This can indeed become your reality. 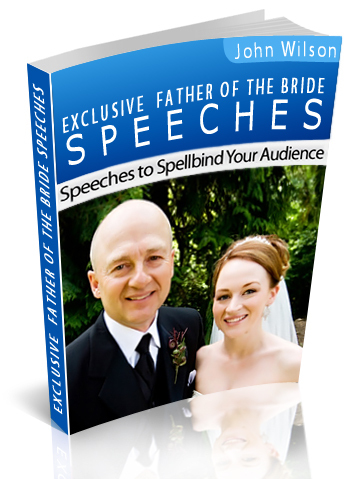 My Exclusive Father of the Bride Speech Pack will not only give you terrific speech samples (from which you can pick and choose portions to make a part of your own speech) but will also teach you step by step how to write your own speech. The step by step guide will ensure you master the techniques of delivering your speech as well as overcome stage-fright. Not only will you be confident of your content but will also be prepared to confidently deliver it. Before going into details about the book itself let me first tell you what I have been involved in doing over the past ten years or so. Years of work has culminated into this speech package. As a result you can within minutes come up with a speech which will impress the guests present in the room! No doubt the internet has information on Father of the Bride speeches and you might very well find something to help you come up with a good speech. With the Father of the Bride wedding speech samples and additional information I will share with you (which took me years to compile) you can deliver nothing but a GREAT speech. Having been involved in the wedding industry for over a decade now let me share another little secret with you. DO NOT get carried away with flowery speeches and be aware of dull narrations. This is a mistake most people make and regret later when their speech is not received as well as they expected it to be received. The more genuine you are the more impressive your speech will be. It’s as simple as that. You should come across as a loving, caring man who loves his daughter, is emotional on the day of her marriage (not over-emotional), is a bit nostalgic with memories of her childhood but at the same time is happier than ever before to see his daughter getting married to the man of her dreams. Someone whom you can call your son now. This should be the foundation of your speech. No pretence, no exaggeration and no overstatements. And certainly no going overboard with emotions. Yet the speech should have a feel-good factor to it, be light-hearted, memorable and should leave a long lasting impression on your audience making them feel just one word. My comprehensive speech package is designed to help you save lot of valuable time and get set for the BIG DAY, easily and quickly. The easy and simple to follow process will make it a fun and enjoyable experience for you. Guaranteed! I am sure by now it is easy for you to understand, how valuable a tool my book is and how much it can help in enhancing the quality of your Father of the Bride Speech. However, you do not have to just take my word for it. See For Yourself What These Very Happy Customers Have Had To Say About My Father for the Bride Book! I was so confident and self-assured. “Hi my name is Edward Jonas. I want to tell every father of the bride to read this book before doing anything about your speech. 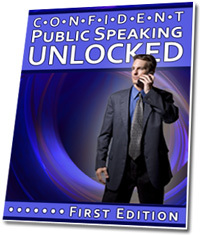 You can very well come up with a speech yourself but with the information in this book you will do an exceptional job. You will surely give a memorable speech. 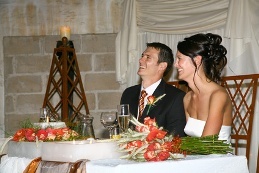 With so many speeches to choose from you are bound to find lots of information that will match your situation. The speech pack helped to write my own speech step by step. It helped me to write the first draft and then helped me to polish it up further and finally my speech was ready. “I am a professional writer and as my daughter’s wedding was approaching I was confident that I would be able to come up with a good speech. It so happened that just 3 weeks before the wedding my wife’s brother had an accident and we had to rush to attend to him. My family was naturally very upset with this sudden turn of events and we just could not apply our minds to the wedding. Thankfully things improved and my brother-in-law showed signs of recovery. There was lot of crisis management that we had to do as so many things were pending on the wedding front. My daughter was mentally very upset. I was now seriously worried about my speech as I was not in the right frame of mind to write one. My wife suggested that I look on the internet for some help. Though I was reluctant but seeing not much option, I started to browse the net. Well I must say this book was a life-saver for me on my daughter’s wedding. It had so many samples and so much valuable information. It was a blessing in disguise that I ended up buying this book as I on my own could have never done such a marvelous job. I was able to write my own speech with the help of the book with so much ease and, thank heavens, so quickly within the little time that I had left. The extensive guide on professional speech writing, so many quotations, toasts, funny one-liners, added that extra edge to my speech. The valuable tips on public-speaking added to my confidence and overall quality of my speech. After such a mental turmoil a great father of the bride speech was just what my daughter needed. I had to make-up for all the time and fun opportunities that we had lost. She was in tears and everyone clapped as I finished by raising a toast to my darling daughter and son-in-law. I was a clear winner! Investing in this book was one of the best decisions of my life as I didn’t want to lose on this once in a lifetime moment. I thanked my wife as she came to my rescue as usual when I was in trouble! The book has everything that you need to make a father of the bride speech a huge success. “I am not at all a people’s man. I hate to speak in public and I am comfortable sharing my thoughts only with my family and a close group of friends. My public speaking skills are limited to only four of my friends when we catch up for beer. Naturally the thought of facing a huge audience on such an important occasion was giving me goose bumps. I had high chances of going blank and making a complete fool out of myself. My daughter, knowing her dad too well, was rather shaky about my speech. She certainly had her doubts as to whether I could speak in such a huge gathering. Well this book completely changed the outlook of public speaking for me. It converted the fear of public speaking to a challenge. A challenge that I suddenly started enjoying. The ultimate result was that, after I had finished my speech, at least three people at the wedding came up to me and asked me whether a professional had written my speech or whether I have been a frequent public speaker. Now that is what you call a miracle. The groom’s parents and even his grandmother came up to me to say how much they loved my speech. My daughter was truly taken aback by this transformation. One of the things I shared was how my daughter and my son-in-law first met. People were emotionally stirred and moved. I also encouraged my listeners to think about the time when they first met their partner. It just seemed to connect with everyone present in the room. The book has everything that you need to make a father of the bride speech a huge success. One can expect to receive a lot of material that is both relevant and current. It not only provided me with amazingly entertaining speech examples but it also enabled me to write my own speech. The section on overcoming public speaking fears really helped me to speak confidently and naturally. I was in complete command of the situation and that really made a lot of difference as people were keen to hear what I had to say. The joy of achievement after delivering the speech is far greater than the cost of the book. May be you should increase the price as it is worth much more than what it costs. 25 Brilliant, Outstanding and most Entertaining Father of the Bride Speeches The speeches are flexible and can be easily adapted to your particular situation. They are relevant, appropriate, meaningful and impressive. They will keep your audience enthralled. Whether you need emotion, humor or substance it’s all there. Step by Step guide on Crafting your own Father of the Bride Speeches easily and quickly. This is where all the speech writing secrets are revealed. This guide will help you to write your own speech as if you were a professional speech writer. Place your order now and lay your hands on the most relevant material available on Father of the Bride Speeches and Toasts which without doubt is sure to make your speech a HUGE SUCCESS. YES Belinda I really want to invest in the Exclusive Father of the Bride Speech Book and want to make the most of such an important day by creating memories which will stay with me forever. I understand by acting today I will put my hands on the most relevant matter available on Father of the Bride Speeches which will help me deliver an Outstanding and Memorable Speech sure to touch the hearts of my audience. Well this is your life today with limited knowledge on wedding speeches. Will it not broaden your horizon? Will it not take pressure off you? Will it not RELAX you? Will it not make you so much more confident? Will it not add fun and excitement to your life? Will it not help you create wonderful memories? Will it not give you the satisfaction that you made the most of such an important day of your life? Will it not give you that amazing sense of achievement? And of course with my 8 weeks 100% money-back guarantee you really have absolutely NOTHING to worry about. P.S.This is your chance to GET RID of all the guesswork and worries about your Father of the Bride Speech. My book will help you DELIVER. Deliver something which is Meaningful and Memorable. P.S.S. 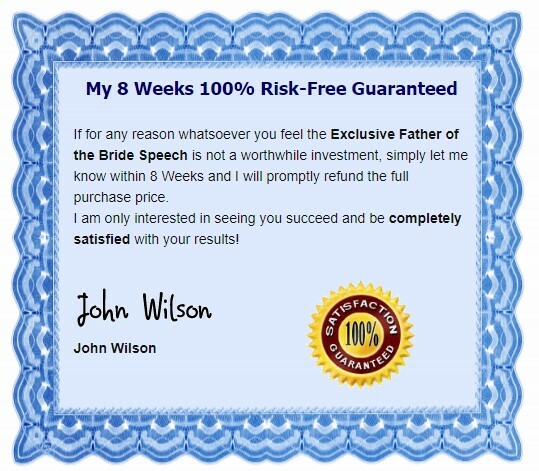 Remember you have full 8-weeks to try the Exclusive Father of the Bride Speech Pack before you decide whether you want to love it or leave it. P.S.S.S. The time to ACT is NOW.. If you do not then you might miss out on the reduced price offer and the golden opportunity to get your hands on so much valuable information at such a low price.